Holla everyone, this month has been super moody for me as i can't fit in any of my size 0 clothes anymore (fat pig jor) so i was also pretty much reluctant to see people and even go out. But i need to go out because i have a daily job from Monday to Friday but after that i would rush home into my cave and hide till the next day. But yea since my workplace is based in malls (travel to all 5 malls in KL everyday) and having to deal with tons of people in the crowded mall or train i would pretty much would like to avoid going to those places at all costs on weekends unless no choice la lol. Grocery shopping has always been my weekly routine to stock up on fresh goods and other necessities like detergent, floor cleaner..etc but having to drag myself out to wait for bus/train on a weekend can be super duper tedious especially when you have to do that on weekdays for work. Don't get me started on carrying the groceries home =.= imagine trying to carry a bag of 5kg rice, 2.5kg detergent and tons of other stuff without help. By the time you reach home your arms would have break, your mood would be super cranky and you will be all sticky + sweaty. Not the kind of weekend anyone of us was expecting. Weekends are meant to be our rest day, to relax but sometimes duties like these can't be avoided especially if you have a family home to run. Can't imagine how tiring it is for working mothers to care for their kids, do the cleaning, cooking and shopping. 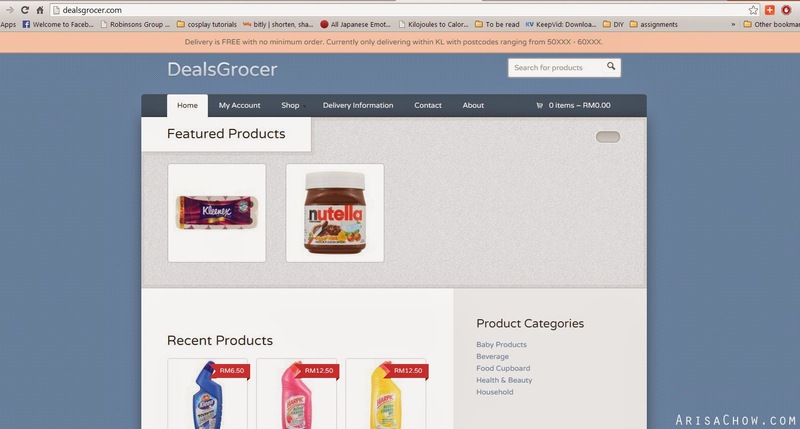 But all that can be easily settled now with Dealgrocer.com. 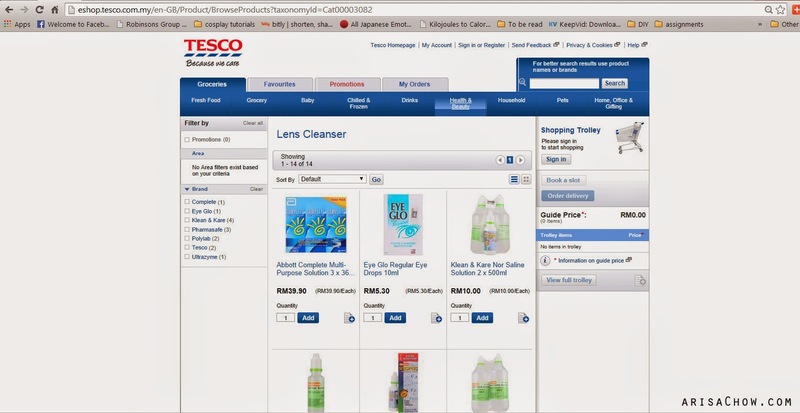 It's something like Tesco Online but it's not same like Tesco Online. Sounds confusing? 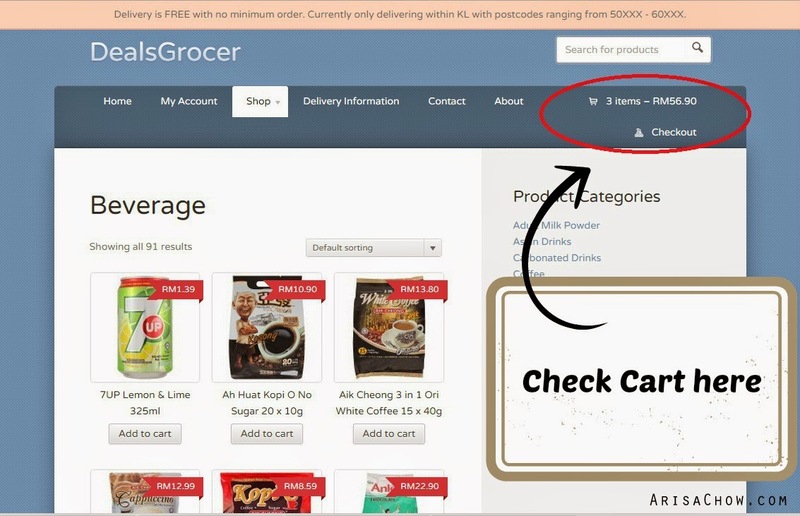 DealGrocer is an independent online grocery portal that has most of your basic household needs and though they are very new but their service has proven themselves very reliable and efficient too. 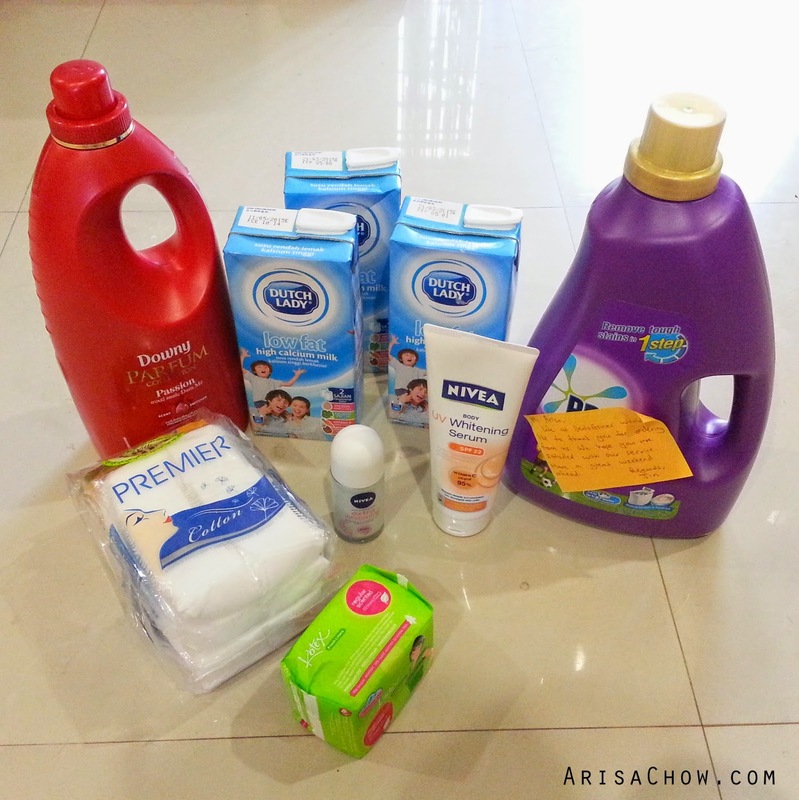 They are not linked to any supermarket or hypermarket like Tesco, Jusco, Cold storage..etc. To make this review clean and simple for viewing i shall list down the pros and cons in bullet points below. 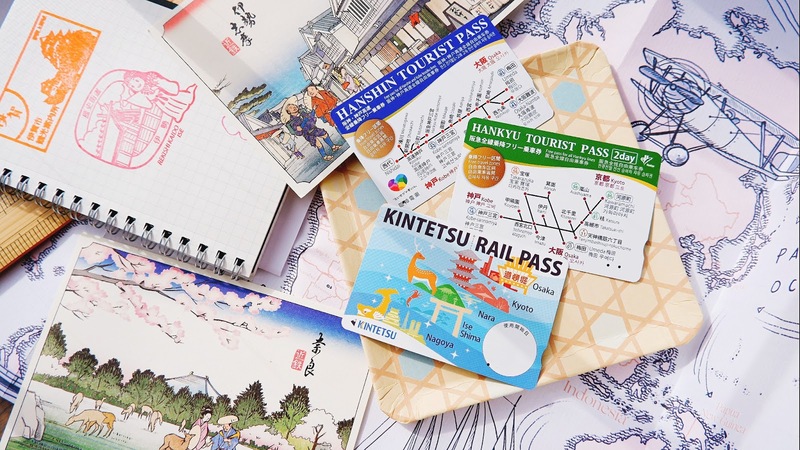 You might notice that their website has limited things to offer but fret not as, if you are looking for a specific product, just drop their customer service an email and they will do the search for you. Like how i wanted the Fabric Softener that wasn't on the catalogue and now it's available! 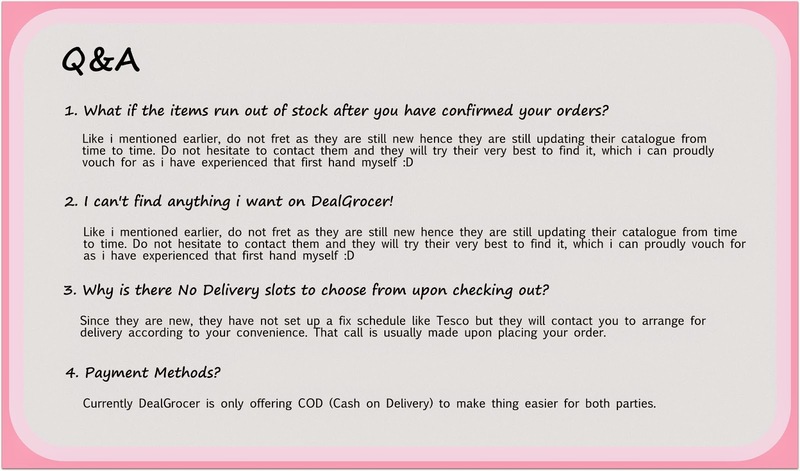 I previously searched for the item on TescoOnline and sent Dealgrocer the link with the name. You might think why don't i purchase from TescoOnline itself? Here is the downside, delivery fees is RM20 which is not worth it for the small amount of things i would like to purchase unless i am throwing a party and i need cartons of drinks sent to my doorstep. But with DealGrocer, there is NO MINIMAL purchase in order to enjoy FREE SHIPPING. Their clean and simple layout makes browsing pleasant and less confusing with no irritating pop up ads or slides. 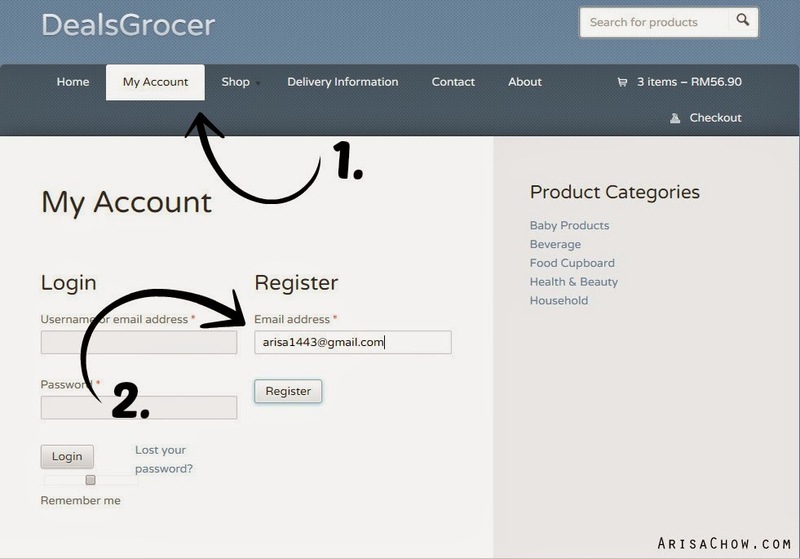 Here is a simple tutorial on how to create an account on Dealgrocer and making your first purchase! After registering and email of account confirmation will be sent to your email. Just click their 'shop header' to view the list of items, to purchase key in the quantity you want and press 'Add to cart'. 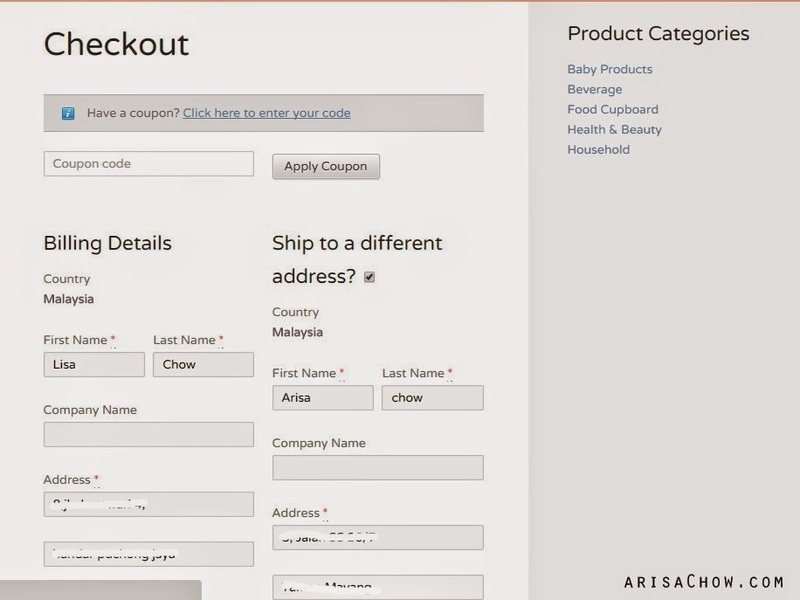 You can review back your shopping cart on the top right of the website. 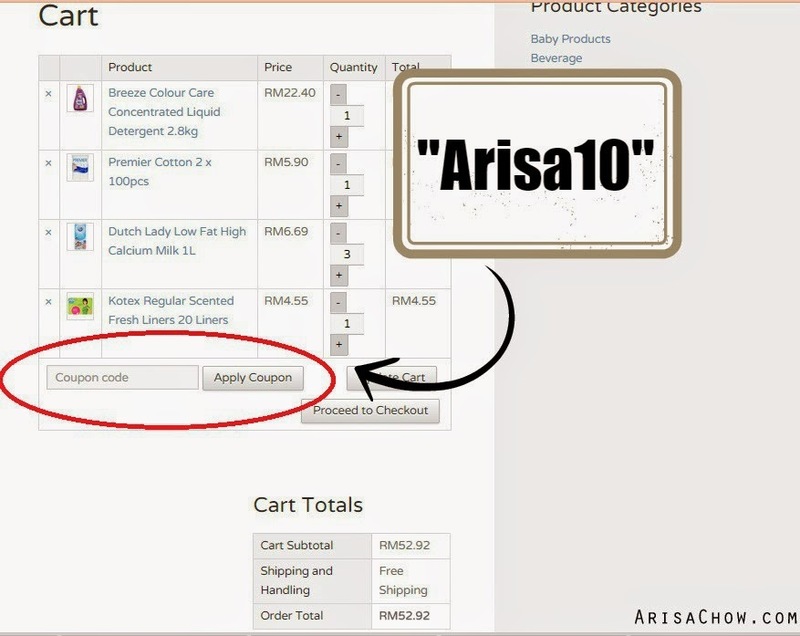 Apply "Arisa10" in the coupon slot to enjoy your RM10 credit. Here comes the fun part, as a token of appreciation for all my dear readers me and DealGrocer would like to reward you guys with a RM10 store credit to use on DealGrocer. No catch, no minimal purchase required and Free Postage too! Once you are done shopping and ready to checkout they website will lead you to this page where you fill in your delivery details. Once everything is confirmed, your order number will be shown and also a receipt will be emailed to you. I clearly remember the days where we students are constantly rushing to meet deadlines, skipping meals in the process because of pantry is barren which is rather unhealthy to do so. But now you can get Dealgrocer to send your emergency food supplies like cookies, snacks and even maggi! It's better than to go on starving. Not having to stress yourself with weekend plans making sure you have enough time to shop while making time for your family as well. With the current increment of 20 cents on petrol, it's also a wiser choice to drive lesser now and last but not least the headache of going in circles in the mall parking lot just to find parking. Trust me, everyone has been through that and it really spoils your mood. It's that simple right? Now to answer a few questions i know you guys would have in mind as we are all humans right? 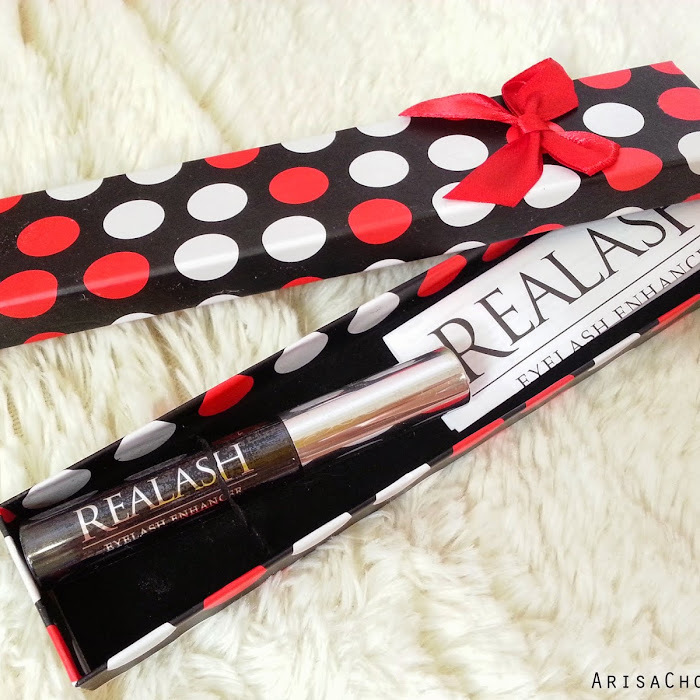 And have tons of things to clarify before purchasing stuff online. Hope this is helpful guys! If you need anything else, feel free to drop me a comment below and i will get back to you.